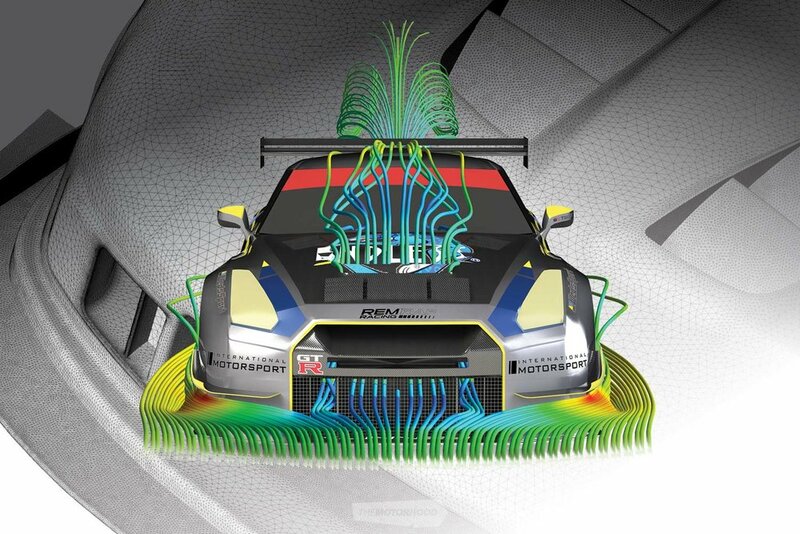 Aerodynamics is the science of exploiting the airflow around your race car for downforce, reducing drag, and cooling. It’s a precision task that can pay huge dividends if you get it right, which is why the upper echelons of motorsport pay so much attention to it, with the likes of Formula 1, touring cars, and endurance teams devoting huge budgets and resources to it. But even at a grass-roots level, getting this right (without breaking the bank) can result in lasting and sizeable improvements to your lap times. We’ve all heard that a race car like Rod Millen’s Celica should, theoretically, be able to drive upside down in a tunnel at, say, 200kph, with the only thing holding it to the roof of that theoretical tunnel the passing air acting on the vehicle’s aero devices. While driving upside down would be trick and all, imagine the effect that that level of downforce would have on your grip levels, thus, the possible speed that you could take a corner. This is where literal seconds can be slashed from a PB if you’re able to get the balance of you aerodynamic additions correct. However, this is where most come unstuck — in being able to test, or prove, the efficiency of their design. Unlike, say, engine upgrades, when a dyno will tell you the exact result of any change, without a wind tunnel or computational fluid dynamics (CFD) analysis software (and the knowledge to run it), we’re really only guessing when it comes to aero, and must rely on the feedback from the driver’s seat. Just look at the current F1 front wing and how it changes over a season to get a picture of how exact this science is. Despite the rise in popularity of aero in lower level motorsports such as Time Attack, in which wings, splitters, canards, diffusers, undertrays, and vents are now commonplace additions, few teams have yet engaged the likes of Kiwi aero engineer David Higgins to ensure that their chosen combination is efficient, effective, and making the most of their available budget. The cheapest way of ensuring whether that big wing you purchased off Alibaba is actually a credible design is to grab a book on aero design. David recommends two books as a starting point — Race Car Aerodynamics: Designing for Speed by Joseph Katz, and Competition Car Aerodynamics by Simon McBeath — each is available online at around the $50 mark and will give you a solid understanding to make informed aero additions. One of the most common mistakes made, and the single biggest piece of advice that David likes to give to budding designers, is to design your package to suit not only your car but also your class rules. All too often, people fall into the trap of using the likes of Google to design aero combinations or borrowing designs from control classes like FIA GT3. “Professionally built race cars are typically built to a set of strict rules or balance of performance criteria. Many of the decisions made in their design are due to rules, and, in New Zealand, the classes we have are varied and don’t carry the same rule restrictions. You can certainly pick up design fundamentals and ideas from professionally built race cars, but, in terms of designing certain aerodynamic parts to mirror these cars, you may only be scratching the surface. Hence, it’s best to understand the local classes, rules, and where it’s best to concentrate for maximum performance within your budget,” David says. This is something he is finding more and more of his customers are opting for: a push in the right direction with some mentoring/coaching so that you can design and construct yourself rather than a full design service — in the same way that you might have an engine builder do all the machine work then take over yourself to do the final assembly. Getting advice on choosing the right wing element or designing your diffuser is a common route to take. All too often, these are poorly designed — in the most extreme cases, the lift generated can make the car unstable and slow it down, or the parts added can make the car heavier; produce inefficient downforce; or, in many cases, generate more drag. A piece of alloy or ACM protruding out from the front of your bumper is an extremely common addition, but it is not going to be an effective aero device, as it will cause airflow separation on the leading edge, leaving a large pocket of low pressure underneath and blocking air from flowing under the car. CFD replaces the need for a wind tunnel, which is good, as there are no full-size tunnels in little old New Zealand anyway. To conduct CFD analysis, you need a CAD model of your car, which can be produced by scanning your actual race car, or the cheaper option, as they did with Duffin’s FD, is to purchase a pre-drawn CAD surface model, of which many are available online. These CAD models are not dimensionally the same as an actual car, but, if they are used for the external upper surfaces only, they can save a lot of time/money. The surface models then have all the detail added, including inside the guards, under the bonnet, the radiators, under the floor, the wheels, and the suspension. Basically, the more detail that is added in, the more accurate the analysis will be. Once the CAD is completed, it’s then over to the complicated and time-consuming work of CFD analysis, which tests each part that you’re thinking of adding and how it will work as part of the entire package. Doing this allows you to easily make changes to things such as the angle of your wing, the shape of your end plate, or even the ride height. If this were done in a wind tunnel, you’d need to have prototyped any parts that you want to tweak and be swapping and adjusting them on the fly, which, when you’re paying by the hour for a tunnel, can soon mount up your costs. As with CFD, you’ll only produce something once a design has been finalized, and, at this stage, a CAD drawing can be sent out for the part to be CNC’d or constructed from measurements (taken by hand). Over the next few issues, we will delve a little deeper into a few key areas with David and lay down some basic knowledge, in the hope that we all can get our cars running a little faster at the track.